There aren’t many places I know where you can stand under the lacquered gable of a ancient Chinese temple and hear the echoing drone of a muezzin calling Muslims to prayer. 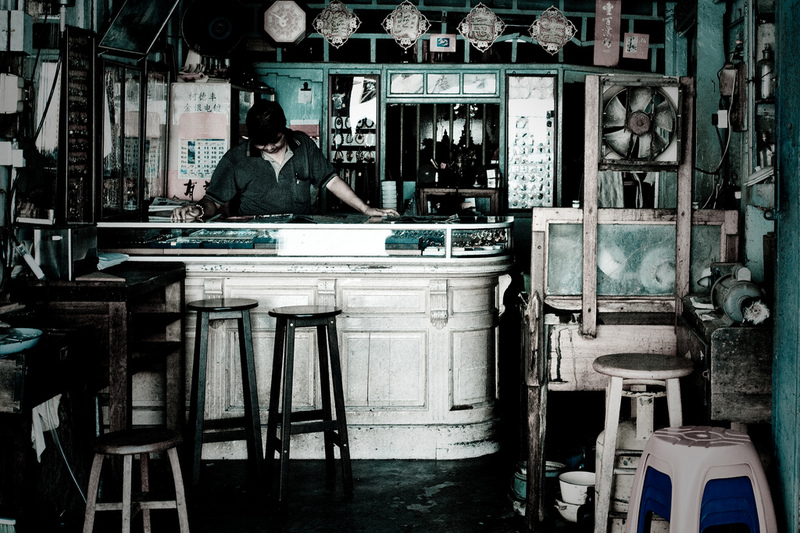 Or where you can lunch at a corner café, sitting on a plastic chair, slurping down a bowl of chicken rice balls while Mariah Carey songs blast from the trendy boutique next door. 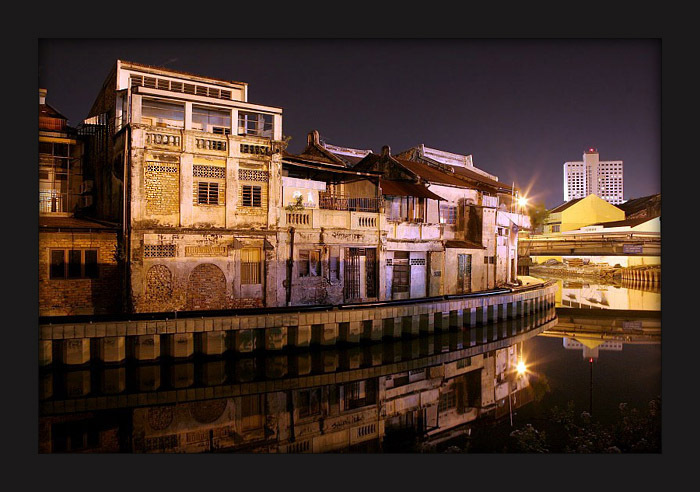 These are just some of the many faces of Melacca (spelled Melaka by locals). It’s an ancient city located two hours south of Kuala Lumpur where centuries-old tradition meet a recent injection of modernity. Where Muslim, Buddhist and Portuguese cultures exist side by side, imbuing the city with a myriad of ethnicities and a colorful variety of options for a weekend getaway. What to do in Melacca? 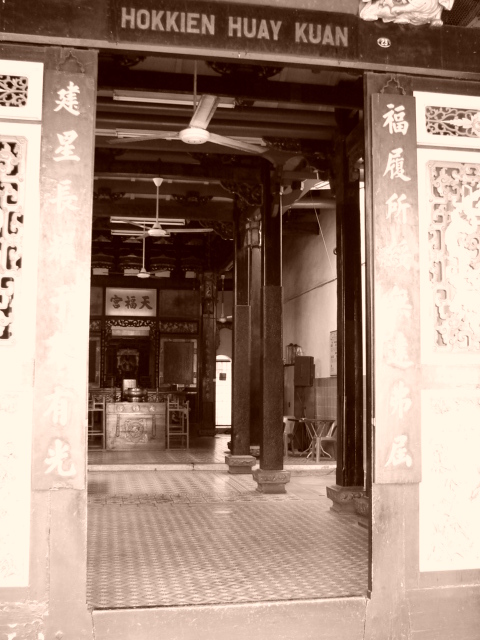 Named a UNESCO World Heritage site in 2008, Melacca has a fascinating past which contributes to making it such a vibrant location. If you enjoy history, there’s the A Famosa Fort (built by the Portuguese in 1511), the St. John’s Fort (reconstructed by the Dutch in the 18th century) and the Museum of Enduring Beauty (with exhibits of foot-binding, teeth filing, tattooing and lip-stretching, among others). If it’s shopping you’re looking for, there are a number of newly-built (and soon to come) air-conditioned shopping malls with designer shops, fast food outlets and movie theatres. 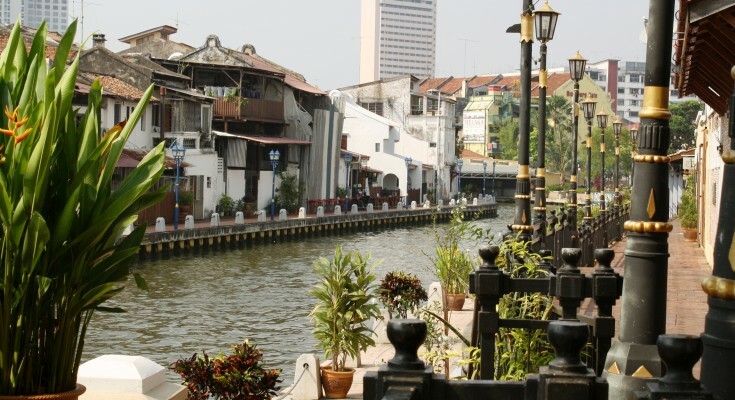 And if you want a multihued cultural experience, the ancient Jonker Street region is the perfect spot for strolling among temples, shops, cafés, teahouses and spas. You’ll find tiny antique stores crammed full of tiny Buddha statues, dusty Chinese relics and lacquer boxes next to boutiques with elaborately ornate bejeweled sandals and floral dresses. Ornate Muslim mosques stand shoulder-to-shoulder with bustling lunchtime eateries overflowing with hungry visitors lining up for meals and unique shops sell personalized mementoes such as seal engraved stones and unusual and ornate chopsticks. Threaded between the temples, museums and tourists are dozens of decked-out trishaws pedaling passengers around town. Like fireflies darting through the streets, each one is elaborately adorned with dozens of colorful plastic flowers and flashing lights, blasting music from its loudspeakers as it traverses the city, powered only by a pair of muscular legs. When it comes to food in Melacca, you’re spoiled for choice. On weekends, Jonker Walk is closed to traffic from 6pm for the night market when it becomes a bustling swarm of people jostling for a chance to shop, walk and eat at street-side stands. We discovered a place selling fresh sushi where, after our initial hesitation, we plunged in and sated ourselves with a selection of dishes worthy of the best Japanese eatery (priced around $1 per roll). And there are dozens of other stands with dishes ranging from stir-fried noodles to spiral potatoes on a stick to pineapple tarts and cendol (a local dessert). There are also a host of restaurants throughout town offering the regional specialty of Baba Nyonya cuisine which is a fusion of Chinese (mostly southern Hokkien or Fujian influence), Portuguese, Dutch, Indian, British and Malay cooking, with most dishes being fairly spicy in nature. The Portuguese Village on the outskirts of town offers fresh seafood dishes barbecued, grilled or fried at a host of beachside restaurants, and you’ll find Indian food, Chinese dishes and western fare all over town. And everywhere you go, you’ll see signs advertising Chicken Rice Balls, a signature dish of the region – a delectable Hainanese specialty consisting of golf ball-sized orbs flavored with poultry seasonings and served alongside a grilled or roast chicken with soy and chili. It’s really all you need for a fun weekend getaway.